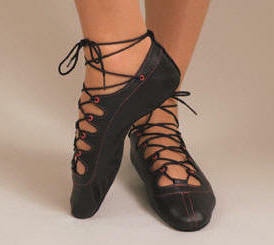 The Glenshee is one of our popular competition pumps and is also suitable for dance class. 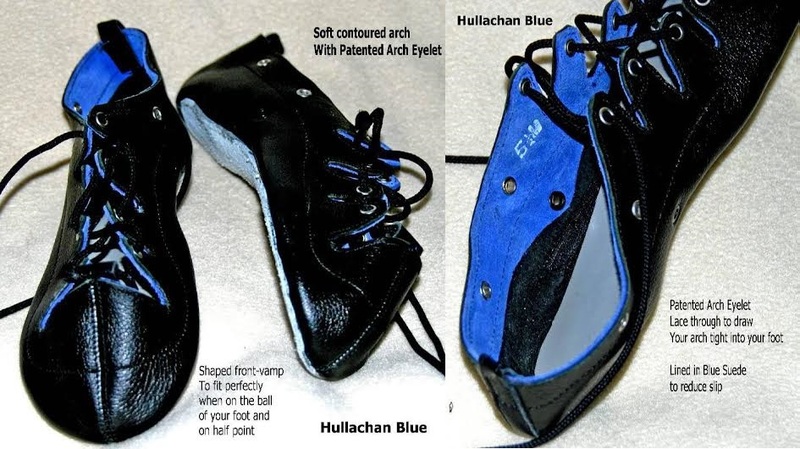 This style has blue, purple or red contrasting eyelets and stitching. 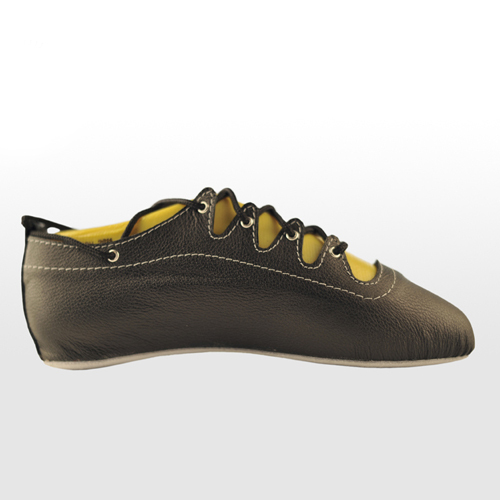 Please state colour of desired eyelets/stitching in the comments box on ordering page. 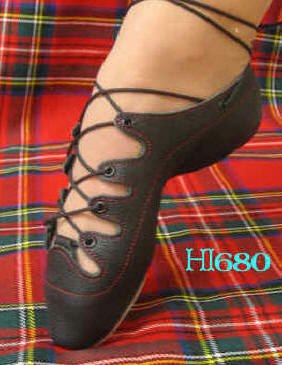 This is our original Highland Dance Pump. 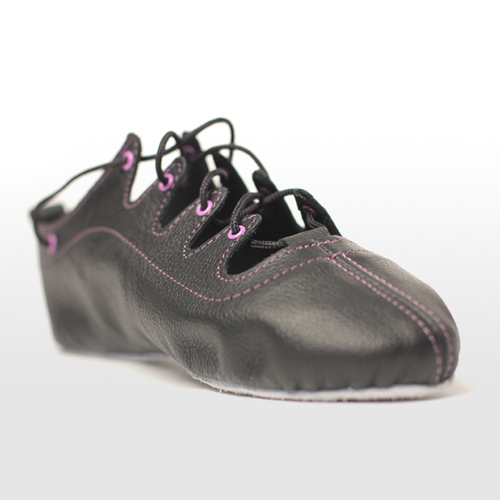 The style has 4 fingers whole cut soft black leather upper with contrasting silver eyelets and stitching. There is no front loop or front seam. 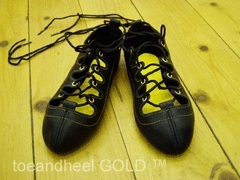 There is an extra eyelet at the ankle for better support. 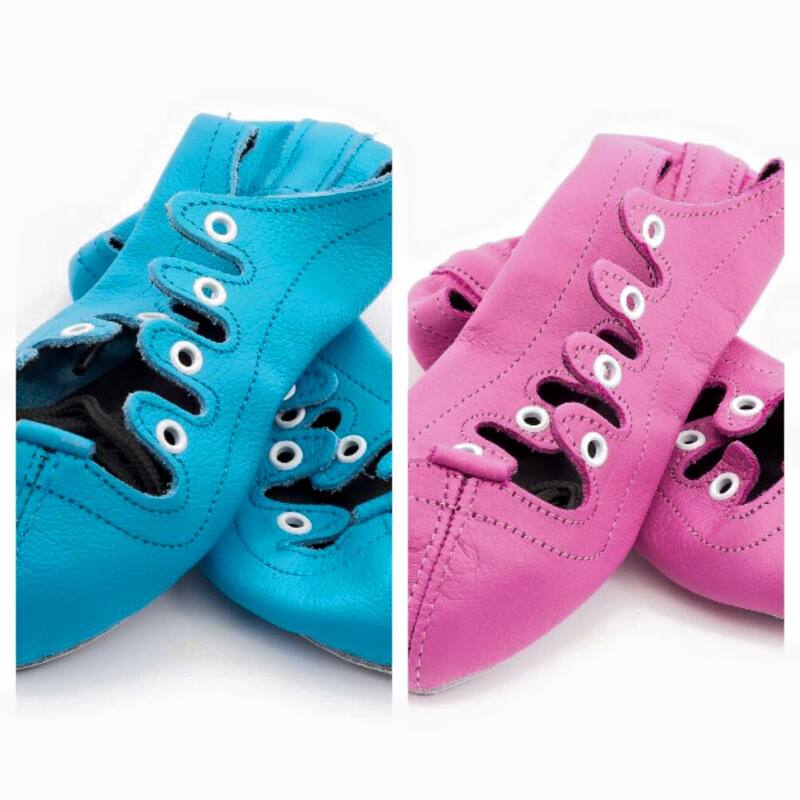 The sole unit is soft and flexible chrome suede. 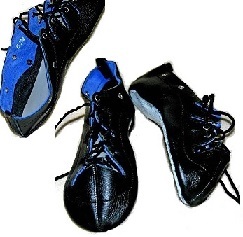 The insoles are fitted with the highest quality shock dispersion unit that absorbs 98% of the shock, helping to prevent injuries such as shin splints. 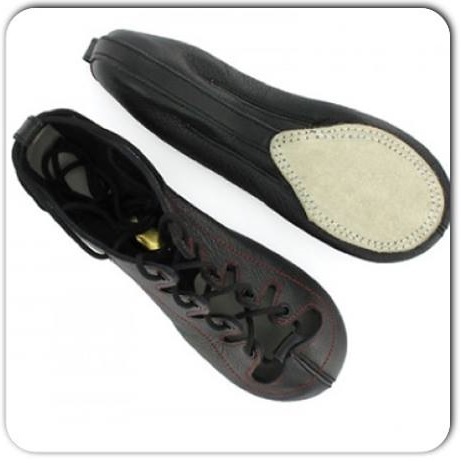 The pump is arch lasted to give a superb point and is perfect for narrow feet.